This coming week will be a little concerning for Aiden, his Mom, Dad and myself. Aiden is going to be getting several of his baby teeth removed. In order to do that he will require an anaesthetic. His front teeth fell out as they were supposed to do. His back teeth didn't fall out, but the second teeth are coming in, therefore crowding in his mouth. Aiden has a fear of anything new. He especially has a fear of lying down flat, except to go to his own bed for sleep.This made even the simplest of dental exams very difficult. So he shall be going to the hospital, this week and will be given something to make him sleepy, before going for the surgery to remove his baby teeth. I have no doubt he shall be sore for a couple of days. Even that too, presents a problem with him taking in nutrition, post surgery. He has an aversion to any foods that are soft and mushy, like pudding, ice-cream, yogurt, jello and the like. All the things the 'professionals' recommend after this type of surgery. We shall try to get his nutrients into him via popsicles made with fruit and nutritional supplements. We have no doubt his shall recover nicely. Our main concern is the anaesthetic. His parents have spoken to an Anaesthetist who feels this procedure will go smoothly. So we are confident that things shall go well and his recovery will be uneventful. Aiden is home after having 11 baby teeth and 1 abscessed second tooth removed. After some medication, for the evening for his sore mouth, Aiden settled well and and slept all night, without waking in pain. Tough little guy he is! This morning he had a soft scrambled egg, milk, juice and water. 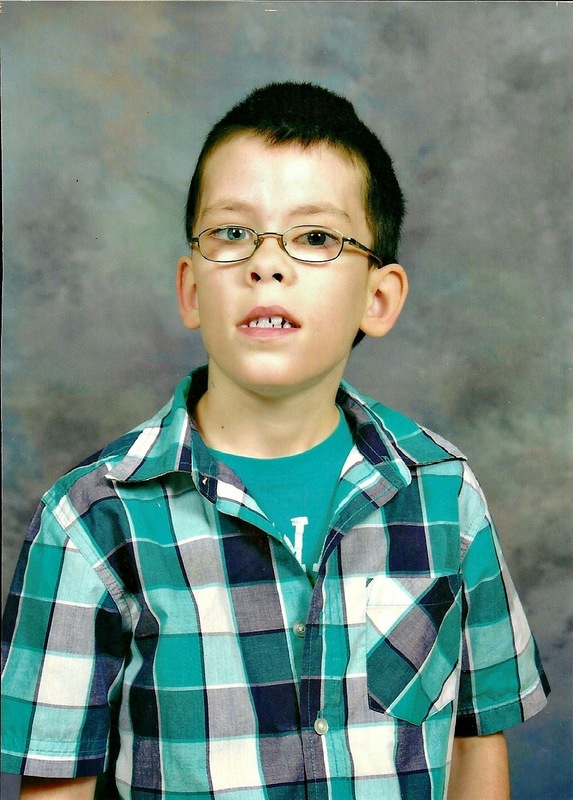 His Mom is hoping to get him back to school soon as soon as he can eat regular food again. Thanks you for the prayers and well wishes. They have obviously helped. By the Way. He got 12 shiny Loonies from the Tooth Fairy! Thank you so much Emma-Jayne. We hope it all goes well and won't upset him too much either..What seem like simple procedures to most people can be very complicated in special needs children. Thank you for your kind thoughts and prayers, Betty.